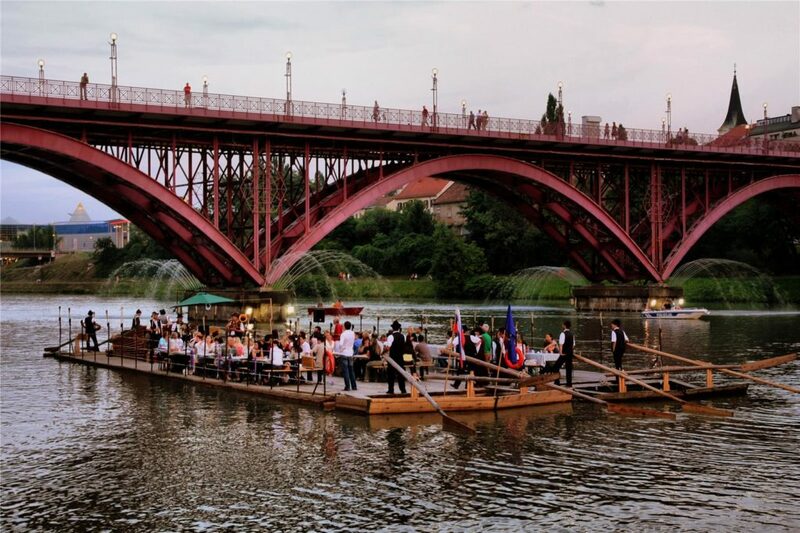 To connect with the rich, bygone tradition of old-style rafting, one should join an incentive on the Drava river in Maribor’s Drava Regional Park. Maribor’s old-style rafting dates back to the 13th century. In old times the Drava river was the main transport link, and rafters docked in Maribor when they transported timber from the forests of Pohorje and Kozjak all the way down to Osijek and Belgrade. Maribor in 2012 gained even the honorary title of The European Rafting City. Maribor-Pohorje Tourist Board offers a special incentive of a timber-raft ride on the Drava river. The rafts used for the tour are built in Robinson Crusoe-style but equipped with seats and benches. During the tour, guests are also treated to culinary specialities from the region and a musical delight of an aboard Rafter’s Trio. For an additional relaxed and fun atmosphere, the rafters will execute a real rafter’s christening of one of the passengers. The old-style rafting trip on the Drava river offers a different insight into the beauty of Maribor’s major attractions such as the two defence towers along the river and the old town Lent. After the raft docks, a guided walk takes along the river Drava embankment of Maribor’s famous Lent, to the oldest vine in the world in front of the Old Vine House, and from there on to the defence towers. Previous articleEuropean cities to work on how tourism can give back to the city!